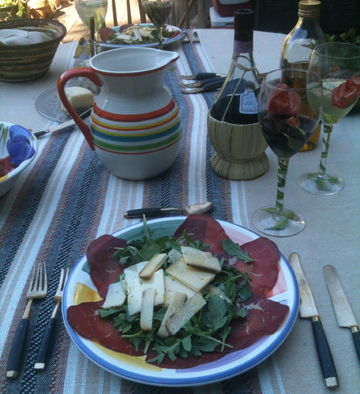 On a dinner plate, lay the bresaola out overlapping to cover the plate. generous serving over the arugula. Drizzle the olive oil over the top.